Researchers from Texas Medical Center are constantly looking for improvements in lab equipment; consumable lab supplies, and high quality research services and they find them at the Annual BioResearch Product Faire™ at Houston's Texas Medical Center. 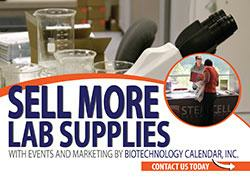 Biotechnology Calendar, Inc. is offering lab equipment suppliers and service providers the opportunity to attend the Annual BioResearch Product Faire™ Event at Houston's Texas Medical Center coming in January 2018. This popular event is a great way for vendors to meet active researchers, lab managers and purchasing agents from Texas Medical Center who are interested in learning about the latest lab products and services available. 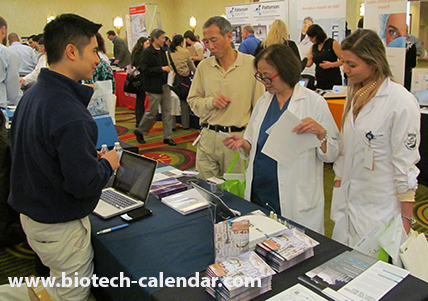 Biotechnology Calendar, Inc. is a full-service science research marketing and events-planning company that organizes life science events at top research universities across the country, and is proud to invite lab suppliers to the Texas Medical Center for the Annual BioResearch Product Faire™. Each year they plan on finding them at the TMC on campus life science events hosted by Biotechnology Calendar, Inc.
Its a huge, 1+ Billion dollar marketplace. Last year, the BioResearch Product Faire™ Event at The Texas Medical Center attracted 432 attendees; including active researchers, purchasing agents, professors, post docs, and lab managers. If you want to increase visibility, quality leads, and lab sales in Texas, don’t miss this incredible opportunity to participate in this premium marketplace - hosted at one of the nation’s largest and leading research hubs. * Could your company benefit from access to detailed TMC lab product interest survey results?